Laura Mugnai has been working in Plant pathology at the Faculty of Agriculture in Florence on various aspects of plant pathology, first in forestry and later in plant pathology of agricultural crops carrying out the characterization of new pathogenic fungi and also of bacteria. In the last twenty years she gave a special attention to olive and grapevine diseases, in particular to wood diseases. On the subject she gave seminars and lectures both in Italy and in many foreign countries, in all grapegrowing areas in the world, and she got the scientific responsibility and collaborated to several national and international projects. She was a cofunder and Chair person for 12 years of the Subject Matter Committee on “Grapevine trunk diseases” within the International Society of Plant Pathology, for which she organized many workshops and meetings. She is at present in the management committee and Italian representative of the COST action on this subject at European level (COST ManaGTD – FA1303 Sustainable control of Grapevine Trunk Diseases). 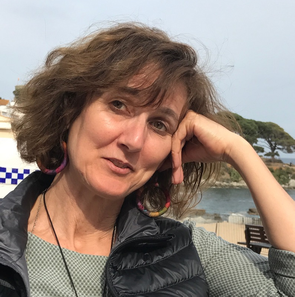 She is actively engaged in running the activities of the Mediterranean Phytopathological Union and she is Co-Chief Editor of the international journal Phytopathologia Mediterranea.